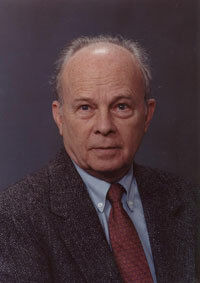 His scholarly writings to date consist of 12 books and over 100 articles on the subjects of early music performance and Canadian music, including The Ceremonial Musicians of Late Medieval Florence, ( 2009); The Sound of Medieval Song: Vocal Style and Ornamentation According to the Theorists (1998); and The Music of Canada (1985). Recent published articles include “How One Learned to Ornament in Late Sixteenth-Century Italy,” Performance Practice Review, 13 (2008); “Filippino Lippi and Music,” Renaissance and Reformation 30 (2006/07); and “Florentine instrumentalists and their Repertory circa 1500," Basler Jahrbuch für Historische Musikpraxis 29 (2005). His article “Filippino Lippi’s Allegory of Sound and Silence,” will appear in Viator early in 2014. At the present time he is writing a book on the history of dance in the Middle Ages. In 2013-‘14 he will deliver lectures at Brock University, St. Michaels College, U of T, and the Center for Medieval and Renaissance Studies at the Ohio State University. 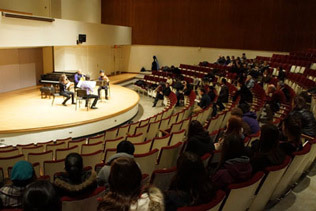 Prof. McGee taught courses in music history and performance practices (1973-2002), and was Director of the Historical Performance Ensembles (1987-2000). He was Visiting Professor at the Villa I Tatti, The Harvard University Center for Italian Renaissance Studies, Florence, Italy (1993-'94); the Ashley Fellow at Trent University (2005-’06); and a Connaught Senior Research Fellow (1994). In 2001 he was presented with the Howard Mayer Brown Award for Lifetime Achievement by Early Music America, and in 2009 The Sounds and Sights of Performance in Early Music: Essays in Honour of Timothy J. McGee, was published (edited by Brian E. Power and Maureen Epp). He has served as Senior Scholar for the Medici Archive Project (2007), a member of the Board of Directors of the American Musicological Society (2001-’03), and a member of the advisory board for the annual, Imago Musicae (2002-’07).